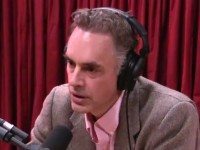 Are Jordan Peterson’s Claims About Bill C-16 Correct? The U of T professor has made claims about going to prison for his beliefs and criminalizing free speech. Here's what the legislation says. We break the mayor's latest op-ed down, line by line. 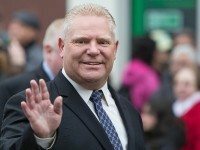 Ford was astoundingly dishonest when discussing his transit plan this week. 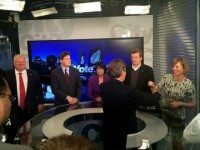 Follow along as we fact-check the claims made during the mayoral debate, and determine which ones hold up, and which ones don't pass the smell test. Selling half of Toronto Hydro would get the City only a fraction of the way toward a realistic funding plan. 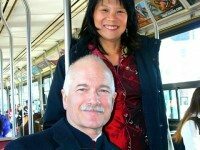 Campaign Fact Check: Did Jack Layton and Olivia Chow Live in Subsidized Housing? The answer is yes—but it's complicated. 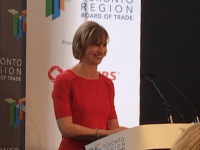 Karen Stintz's first major campaign speech suggests the people want clichés, clichés, clichés.